Some lucky folks were able to get their hands on RIM's Storm and I'm not one of them. But I'll bring you details and summarized them for you here. Gizmodo gives Storm the title of an iPhone killer. It's the closest they've seen so far. You actually have to "click" on the screen to get anything done. It's done touch differently from say the iPhone and Android's only phone so far. Engadget recommends putting the Storm in a holster rather than your pocket since it's a heft phone. Retains Suretype in portroit. Big keyboard. There is a glow so that you know you're typing down on the right key. Interesting implementation. Has cut and paste. iPhone doesn't. Boo! Browsing is okay. 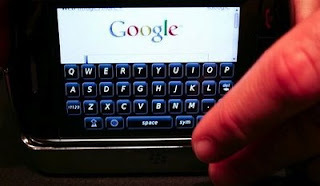 Nothing new from what Blackberry has seen before. They are better off using an existing application like Webkit. There you have it. The only thing to deal with now is pricing and terms. With no Wi-Fi on the Storm, we really like to see how Verizon deals with the issues of 3G use. Plus, ball is now in Apple's court. For the first time, I see RIM moving in the right direction. 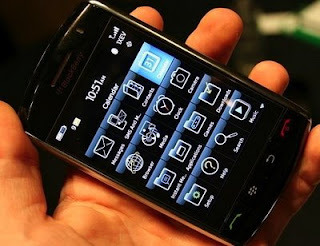 It's still a smartphone - phone with mobile computing capabilities, not a true mobile platform built from the ground up. But this should go a long way in closing that gap. Good job!